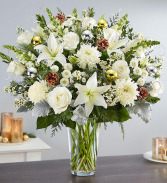 Make someone very merry with our bright bouquet of holiday tulips! 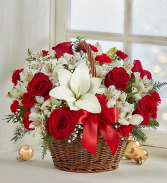 These radiant red & winter white blooms will bring joy and cheer to every celebration this season. 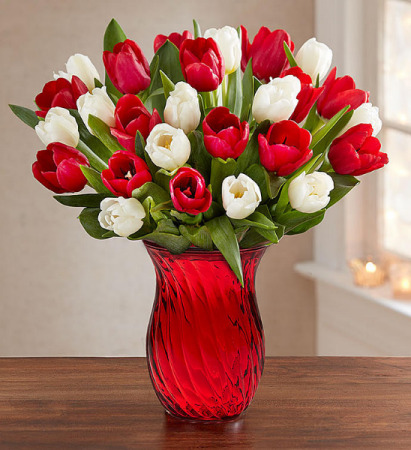 30 stems of fresh red and white tulips comes in a red Vase . 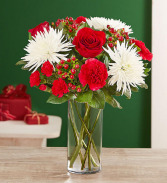 Vase may vary Picked fresh on our premier farms around the world, our flowers are cared for every step of the way and shipped fresh to ensure lasting beauty and enjoyment.